However, the industry as a whole is starting to change and recognise the problems of pollution and the long-term threats it poses to our planet. The UK government is beginning to pass legislation that stipulates construction firms should use green practices within their production process – and this includes green commercial van fleets. Now that the diesel and petrol cars have been branded significantly harmful for the environment – the UK have widely recognised areas across the UK that are badly polluted with emissions. The government has committed to plans to ensure they reduce the level of pollution by 2040. For business owners, a fleet of reliable vehicles is a vital cog in the smooth running of their business. 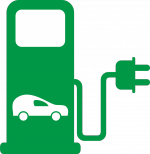 However, electric vehicles have a level of stigma attached – a smaller mileage range, longer time taken to recharge and less charging points than petrol stations.